Gorgeous vase of clear glass with intricately woven canes infused to create a netting effect. 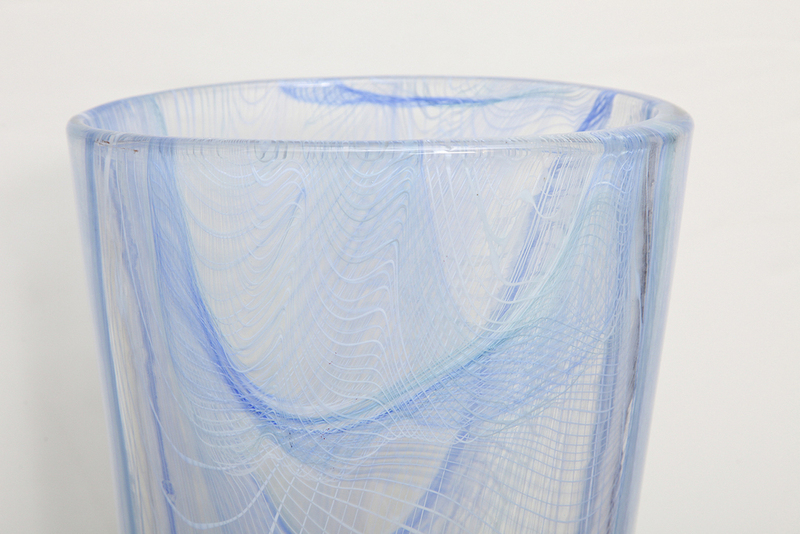 Swirling lines of white and shades of blue embedded in the glass give a dreamy spirit to this over-scaled piece. Signed underneath. h. 18" w. 9.5" d. 6.75"